Aging has long since been ascribed to the gradual accumulation of DNA mutations in the genome of somatic cells. However, it is only recently that the necessary sophisticated technology has been developed to begin testing this theory and its consequences. 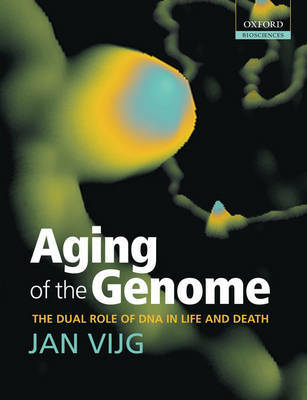 Vijg critically reviews the concept of genomic instability as a possible universal cause of aging in the context of a new, holistic understanding of genome functioning in complex organisms resulting from recent advances in functional genomics and systems biology. It provides an up-to-date synthesis of current research, as well as a look ahead to the design of strategies to retard or reverse the deleterious effects of aging. This is particularly important in a time when we are urgently trying to unravel the genetic component of aging-related diseases. Moreover, there is a growing public recognition of the imperative of understanding more about the underlying biology of aging, driven by continuing demographic change.